Even WordPress is on board with the rainbow theme. I went to the Chase ATM the other day and was greeted by a rainbow and the reminder that “it’s PRIDE month. 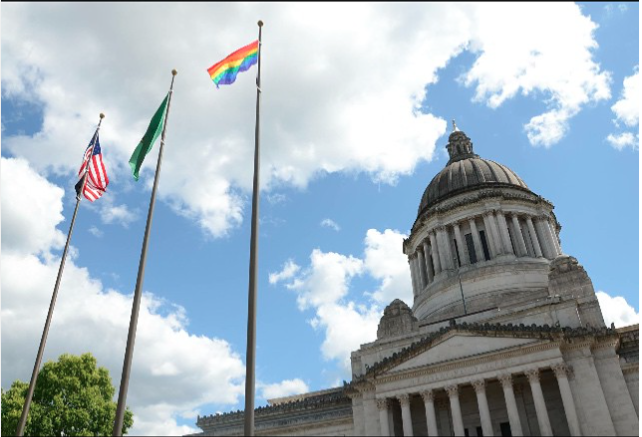 I saw on WA State Governor Jay Inslee’s Instagram that they had hoisted the rainbow flag up alongside the state and national flags. It was interesting that the picture was taken at an angle that elevated the PRIDE flag above the others. State Ferrys are flying the rainbow flags; (I was careful on the spelling there) Seattle painted 11 crosswalks with rainbow colors; even christian authors are using rainbow themes in their discussions of homosexual issues. It all makes me wonder if anyone remembers where that rainbow came from and what it means? 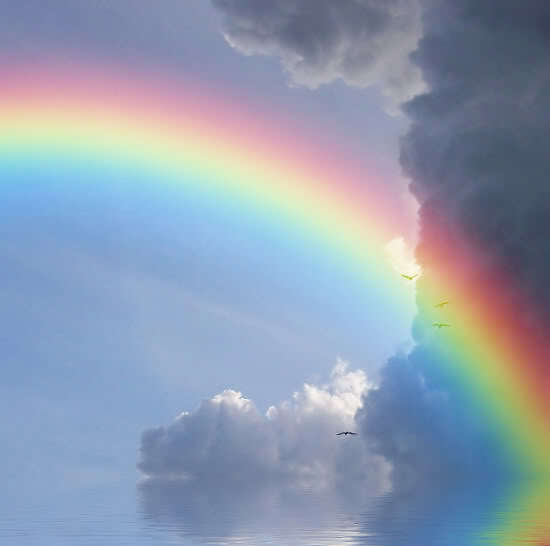 The rainbow is a symbol or sign from God, and it is a reminder of things past. It is a reminder of the deluge. Before the flood the sin on the earth was terrible. God caused a worldwide flood that destroyed every man, woman, child, & animal, except those who were preserved by Him in the ark of Noah. For the first time in history there was rain, as the firmament above and depths below erupted with water. God wiped away the wickedness of humanity and preserved Noah, a man of faith. When it was all over, God made a promise, that never again would He cause a worldwide flood to wipe out humanity. The bible tells us that God set a bow in the cloud as a reminder of this promise. Like all symbols, the rainbow means something: God, although a Righteous Judge, is also full of mercy. There is another symbol that God has given for us to consider, it’s the cross. The cross is where the justice of a Righteous God was satisfied for sin. It’s also a place where the grace and mercy of God was demonstrated for all of humanity. God, gave His Son, Jesus, to pay the penalty for sin. The rainbow and the cross should remind us of the same things. God is righteous, and He has and will judge sin. But He has also provided escape by faith using a the ark, the cross, -symbols of His lovingkindness and salvation. Men and women are celebrating under a symbol that they do not understand. They are reviling in sin against God and nature. Although God has extended mercy and grace through Jesus,… like the ark, if people refuse to get on board (by faith in Jesus) -only judgement remains. Future judgement is a certain as it was in the past, and that judgement is not through water, but fire. I pray for our nation, our leaders, our world,… that many would come to repentance and put faith in Jesus, the only hope of salvation.